Interested in Diving the Similan islands? 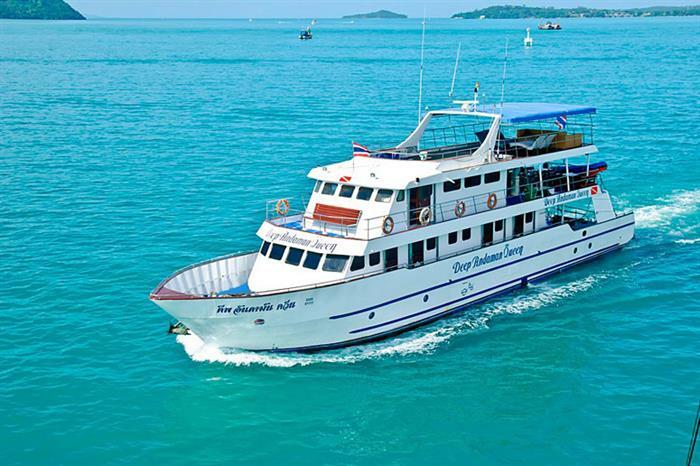 Liveaboard diving provides easy access to Thailand’s best diving sites. Thailand’s Similan Islands and South Andaman Sea offers some of the best diving sites available in the world. Most Similan liveaboard safaris depart from Phuket and offer extended trips to Mynmar and the Mergui Archipelago. Thailand is located on the edge of the Coral Triangle and has an extremely diverse aquatic wildlife such as black tip reef sharks, schools of barracuda, snapper, whale sharks, manta rays and leopard sharks as well as an amazing array of reef fish. You will find fringing reefs, deep drop offs, wrecks walls caverns tunnels pinnacles as well as open ocean diving. Watch the following video filmed aboard the Deep Andaman Queen for a glimpse of what a Similan Islands liveaboard diving experience is like.